holiday house with barbecue and quiet in galicia, your house is Casa Da Carballeira, come and spend a few days of quiet with your family, friends, couple; We are located in the province of Pontevedra, more specifically in the Concello de A Estrada, although we are closer to the Galician capital, holiday house with barbecue and quiet in Galicia is very close to Santiago de Compostela. holiday house with barbecue and quiet in galicia, has a large barbecue so you can cook your best barbecue and enjoy the nature and tranquility that surrounds us. You have very close Umia river, one of the important that runs through our land and flows into Cambados, part of the famous Rias Baixas, just 30 minutes from our holiday house with barbecue and quiet in galicia. 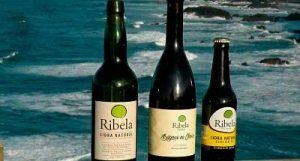 holiday house with barbecue and quiet in galicia, also offer you to make a visit and a tasting of cider in a winepress of the area where they make cider ecologic and artisanal. Cider Ribela! come and try it! you will not regret!in our holiday house with barbecue and quiet in galicia we offer you to receive one of the best and most relaxing massage that you have been able to enjoy, we have at your disposal an extensive massage menu.If you want to enjoy your holidays, look for a holiday house with barbecue and quiet in Galicia, CASA DA CARBALLEIRA is your best option.Rural vacations in the best environment. Ideal for family with children. Maximum tranquility in the environment, and surrounded by nature. Very close to the beach, you can meet several spectacular Galician beaches. The rural house is half an hour from the beach and 30 minutes from the Rías Baixas. Known for its cuisine, and its pleasant surroundings, peaceful and quiet, very natural!Bring your children! to your family!! you will not regret! because casa da carballeira has all the characteristics to spend your family holidays. Surrounded by peace and tranquility, where you can breathe pure air typical of a natural landscape. holiday house with barbecue and quiet in galicia, a few km from the Galician capital itself that attracts so many pilgrims and visitors, will it be for something? do not you think? Come and spend some quiet days at our rural house in Galicia. you can give yourself a so relaxing massage that you will never forget, in the idyllic setting for it, walking along the river Umia will be very comforting.